How do Texas congressmen party? 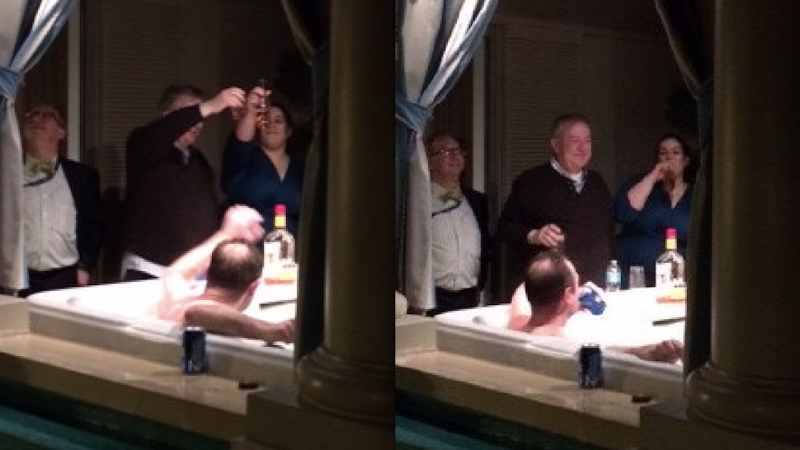 For Rep. Steve Stockman this weekend, it involved a 300-person party, college kids, a bathtub, and a ton of alcohol. Stockman, who recently lost a bizarre Senate primary race challenge to Texas incumbent Sen. John Cornyn, apparently spent Saturday night sipping on brown and clear liquor and offered partiers $20 to jump in the tub at a CPAC after-party. 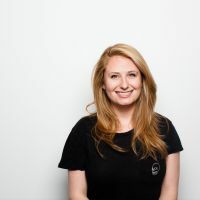 According to the Washington Post, the room belonged to two Brooklyn radio hosts who were upgraded to the suite after the convention center hotel ran out of double rooms. Sensing a once-in-a-lifetime opportunity to party with congressmen in bathtubs, the hosts advertised their good fortune on Twitter under the hashtag #unsustainablebartab, apparently a GOP code word for RAGER. We were just starting to talk small when a young Republican ambled over and the congressman wrapped his arm around her. "We've known each other for years," explained Stockman with a laugh. She was inviting him to a join a smaller, and presumably less reporter-friendly, conversation in an adjoining room. Weigel got a high-five for his troubles. It's unclear if the bathtubbers ever got their $20.